ASV ALL STARS RETURNS THIS EASTER! 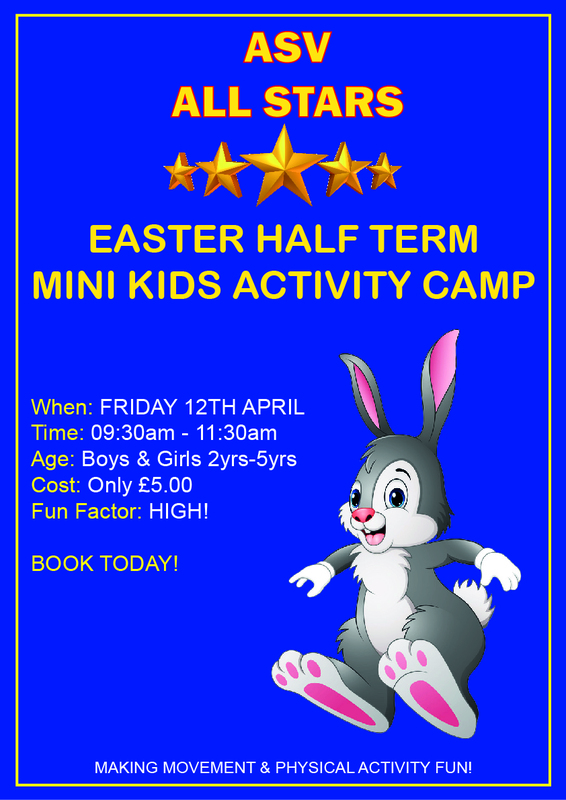 Our ASV ALL STARS Children’s Activity Camps return this Easter here at Astley Sports Village. ASV ALL STARS Camps are aimed at all boys girls from 2yrs – 11yrs. The camps are delivered by experienced team of coaches who are all enhanced DBS checked. Our key objective of our ASV ALL STARS Camps is to make movement fun for your child. We offer a wide range of sports and activities within our camps so there really is something for everyone! 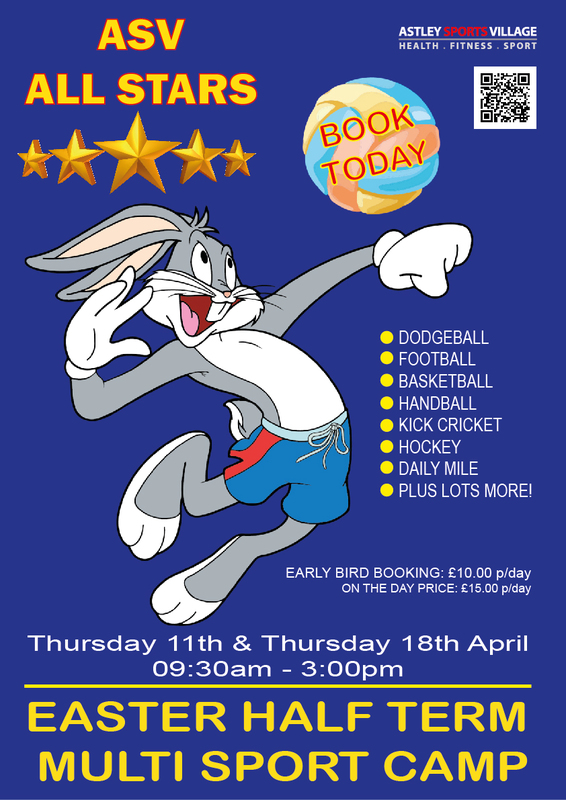 Bookings for both our ASV ALL STARS CAMPS are NOW OPEN!